It’s Christmas over here and we’re so excited for the holiday season! I love dragging out all the Christmas bins and decking the halls…it’s such a wonderful time of year to decorate. The cozy pillows, the sparkly lights…it’s magical. I started my holiday decorating with my mantel. Because it is the focus of our living area, it kind of sets the theme of our space. That and I actually find it pretty hard to decorate the mantel at Christmas so I try to get it done and out of the way first. I find it a little challenging to decorate it just enough to match the Christmas tree, but not too much to compete with it. I think my most favourite mantel of all was the one I made last year at Christmas, but I do like this one too. There’s really only so much I can do with this space without having to go out and buy a million new things but I don’t want to do that. As I always say, I try to make do with what I have, because realistically, who can go out every year and buy all new Christmas decor? It’s just not practical. 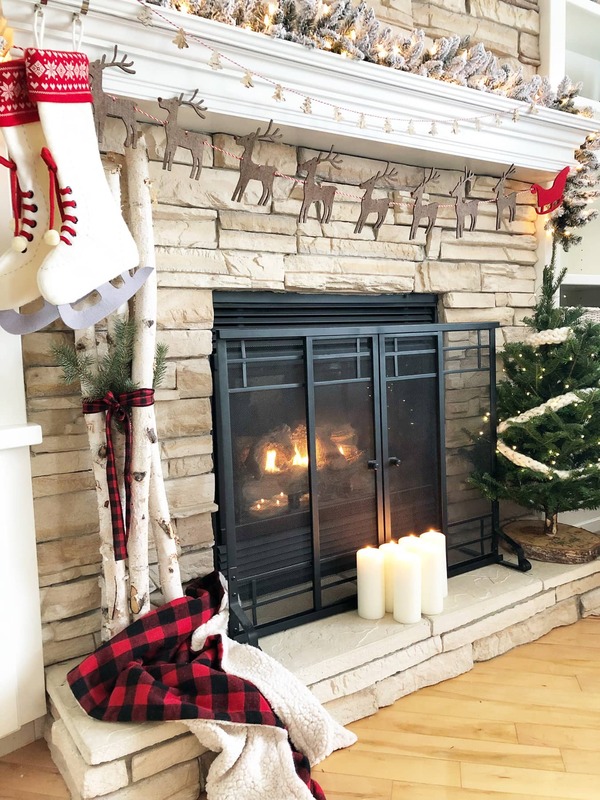 For this years mantel I did buy a couple of new things…I couldn’t resist the Reindeer and Santa garland I found at Michaels, and I also bought the flocked garland to match our flocked tree. And these are things I will be able to use year after year. 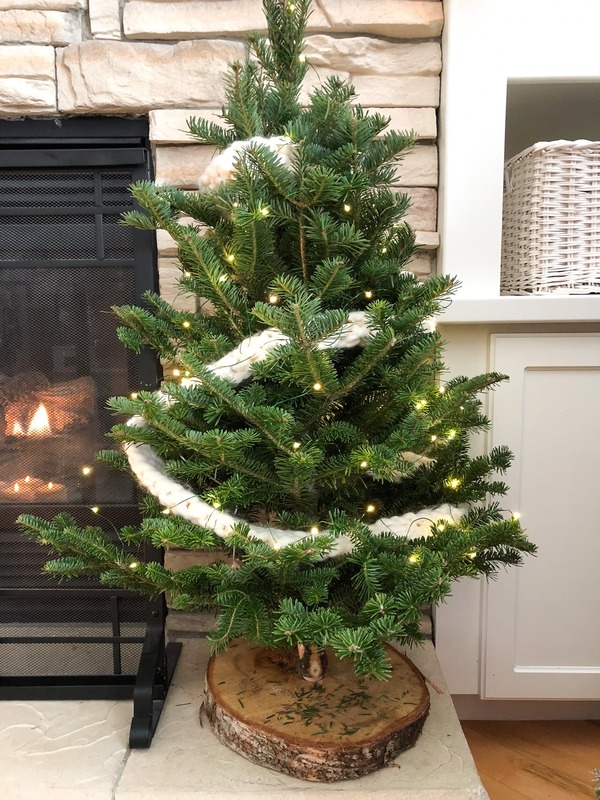 I decided not to decorate the flocked garland because I really just love it the way it is…in hindsight though, I probably will add some red ball ornaments for my Christmas home tour that’s coming up…but for now I’ll leave it be. I also made a little tree bark garland with some string and tree bark cutouts that I had from last year but never used. I think it looks nice strung along with the reindeer garland. And because I’m all about soft twinkly lights, I wanted to add some candles to my mantel. I really love the look of candles in front of the fireplace. 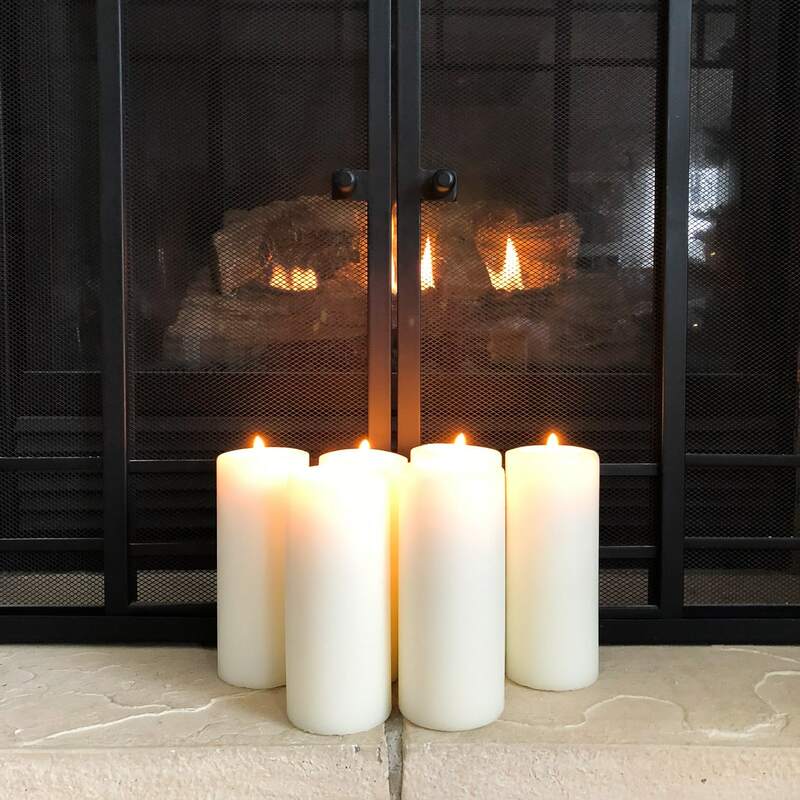 When I don’t want to turn on the fireplace, I’ll just light the candles. So pretty. I also found these mini fresh trees at our local home store again this year. I love how cute they are. I wrapped it up with some pretty chunky knit garland, and wound some small fairly lights in too. So cute. You’ll also see a few of these little guys on my Christmas porch! Overall I kept things pretty simple, and I like how it turned out! I can’t wait to show you how it looks with my Christmas tree too! 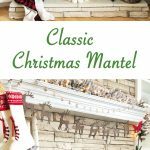 Now make sure to take a tour through all these amazing and festive Christmas mantels! 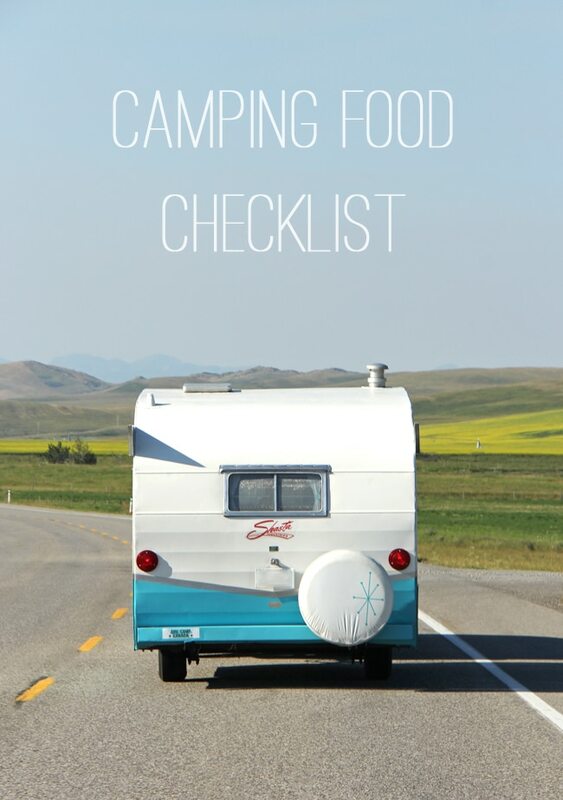 You’ll be sure to leave inspired for your own space…there is something for everyone here! I love it Jo-Anna! It looks like we have a similar scheme going on this year! I love the santa and his reindeer banner! Adorable – great find! Thanks for taking part in this hop! Thank you Krista! And I love that we were on the same wavelength with our decorating this year! This is lovely! 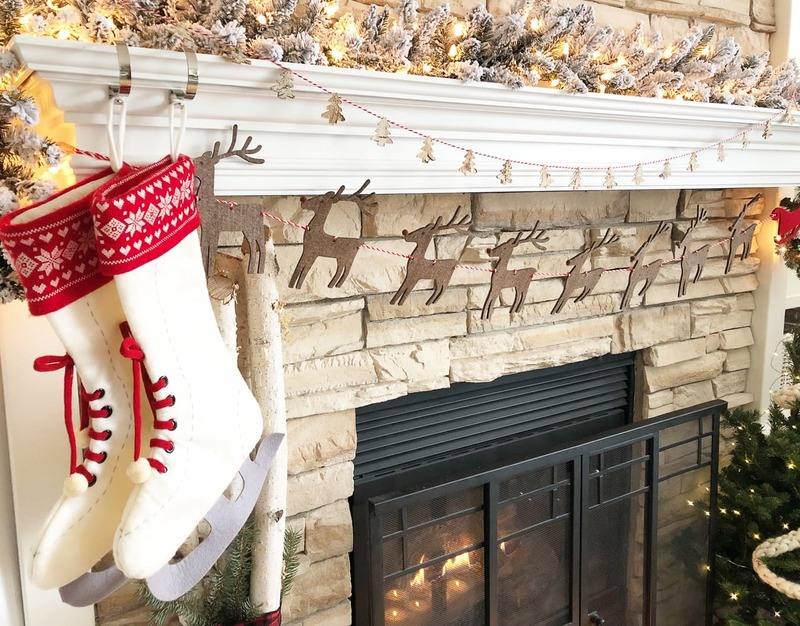 I love flocked anything – and I am totally smitten over the santa garland. So cute and unique. I’ve never seen the little trees with the base like that. How cute! And you don’t have to store them, which is a huge bonus for me. Thank you Kim! 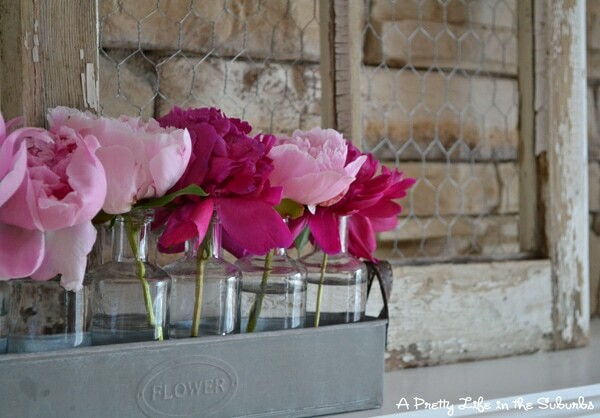 I love anything flocked too…it’s just SO pretty!! And aren’t those little trees great? I found them at Lowe’s and just love them. I did a November mantle once I took the Halloween stuff away, but it sort of turned a bit Christmassy. I’ll have to look at all these for inspiration to jazz it up for December. Your mantel looks great Jo-Anna! 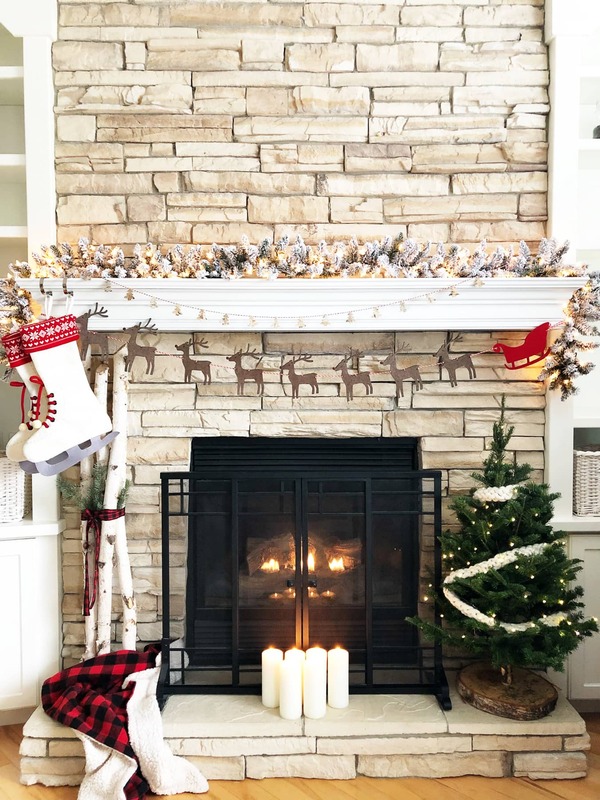 Love the red and white color scheme and that reindeer garland is so fun! I love those skate stockings, so cute! 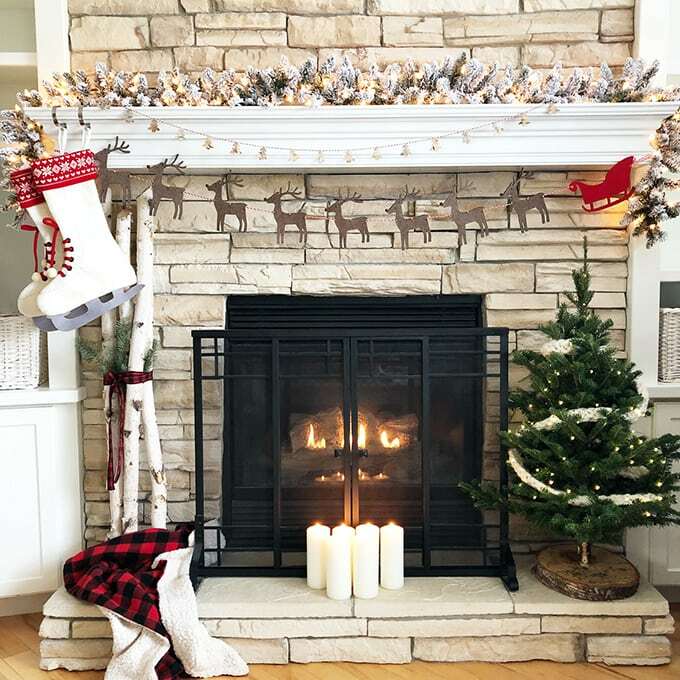 That deer garland is adorable!! Great job on the mantle! Jo Anna this is super cozy! I love the reindeer garland! Super cute.